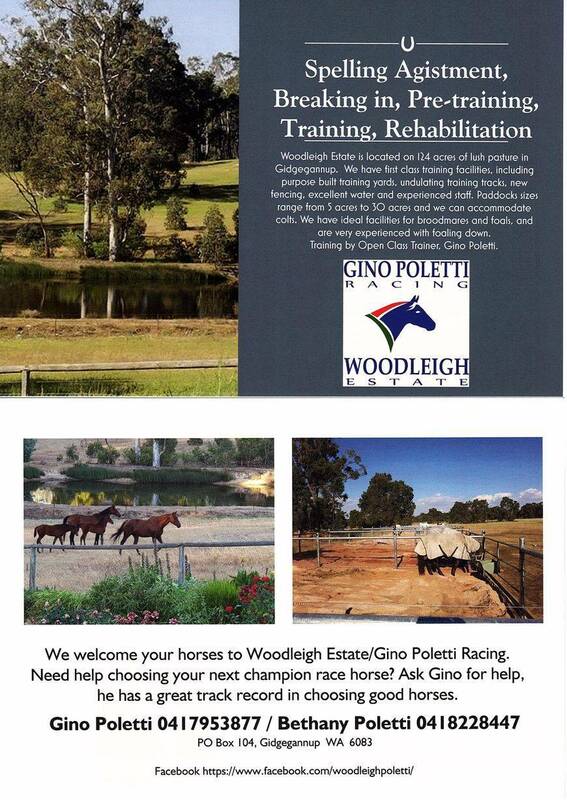 Woodleigh Estate / Gino Poletti Racing is owned and operated by Bethany and Gino Poletti. We have purchased a beautiful 124 acre property in Gidgegannup. We are setting it up to be a fabulous, purpose built racing property and are excited about the journey ahead. Spelling agistment, breaking in, pre-training and training is all done at Woodleigh Estate in Gidgegannup. We have a great team and we make sure each horse is treated individually. All our horses are treated with the utmost care, their well-being is a priority and we want happy, healthy horses who will give their best on the track for their owners. Shaun O'Donnell and Lucas Camilleri are our stable jockeys, and they have been a major part of our team for many years. 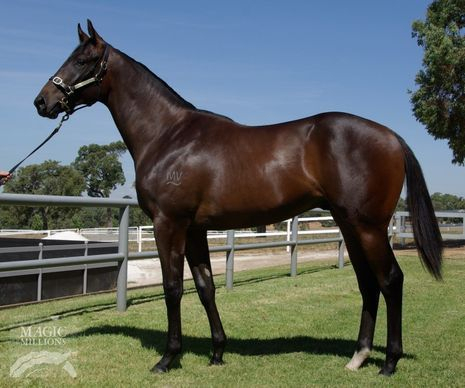 Offerings are available in this exciting War Chant/Cruisy Lady gelding. We are happy to sell lots starting from 10% to individual owners. 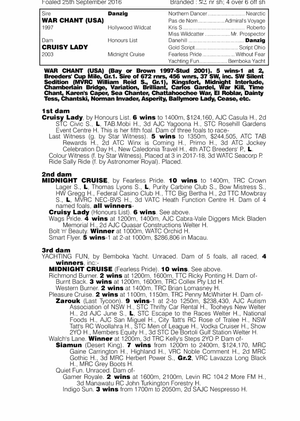 He was Lot 199 from the Perth Magic Millions sales. Please contact Gino or Bethany for purchase enquires. We believe he will be a late 2 year old runner who has all the attributes to be a great race horse. Get on board and join in the excitement.